It’s not about the destination, it’s about the Journey. Great quote, but we believe that when it comes to Sales, it is about both the destination and the journey. Watch the journey from acquiring a lead to winning a paying customer! Start Selling smart now! 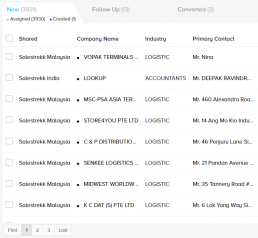 Bulk import your existing leads or manually add them one by one, Salestrekk helps you define your customer's buying journey and helps you stay in control of the conversation at every stage. Do you sight a large opportunity? Assign or share the lead among more than one team. Do you have specialized teams that focus on specialized customers? No problem! Salestrekk gets out of the way so that business is done your style. Over time, use intelligence from Salestrekk to apply best practices as you watch leads move from stage to stage. Automatically assign tasks to team members with one click. Your team members can instantly get notified about their daily tasks, and also get a map view of the location of the task. 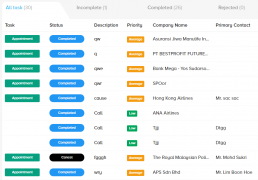 Leaders can monitor their ground assets, and also be notified about assets or personnel reaching the intended location through an automated check-in. Opportunities are the lifeline of your business forecast. Create and watch your team’s progress towards closing the opportunity with real time information. Salestrekk’s opportunity dashboard helps you define the type of opportunity this is, add your products or services to the opportunity, and even create your own opportunity stages to determine progress. More importantly, the opportunities dashboard will give you the knowledge you will need to create accurate forecasts for your organization.